So if you’ve missed the fall inspiration lately, I’ve been on an apple kick. I mean apples are tasty…so really easy inspiration there. And to get my toddler more into crafting and creating, this the perfect mommy and me date while brother is at school. So here’s how to make your Caramel Apple Fall Craft for Toddlers. 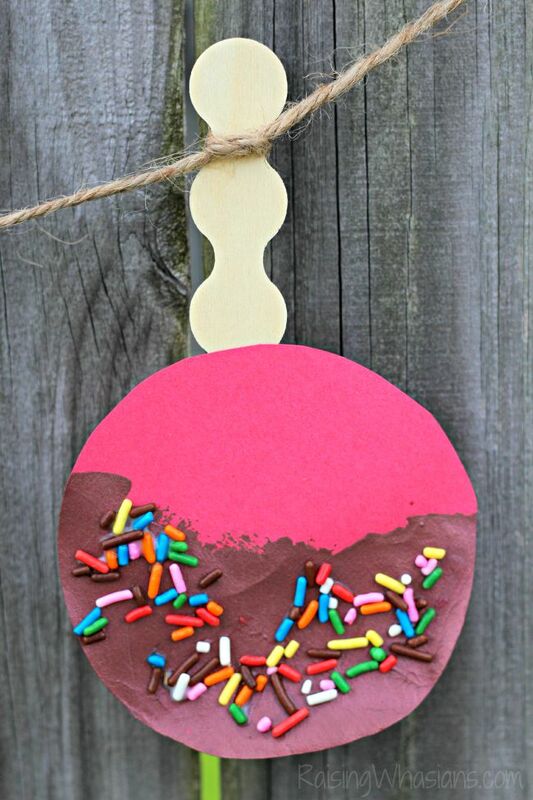 Enjoy these special moments with your little then scroll down to grab 50 more fall craft ideas! Ok, so maybe this craft inspiration manifested from a hungry belly that loves fall caramel apples. *Growl. * But in any case, I love love love how these cute caramel apples turned out. Such a fun and simple craft, even for the littlest toddler, this made an afternoon of crafting “girl” time. I really am enjoying these few special hours alone with my beautiful daughter. Popsicle Sticks <-This set is a great deal right now! 3. Using brown paint, paint the bottoms (opposite the popsicle sticks) of your apples. Allow to dry. 5. Optional: Want to make a few apples for fall decor? Grab your string and string your apples from the tops of the popsicles. Perfect for adding a little seasonal cheer to your home! 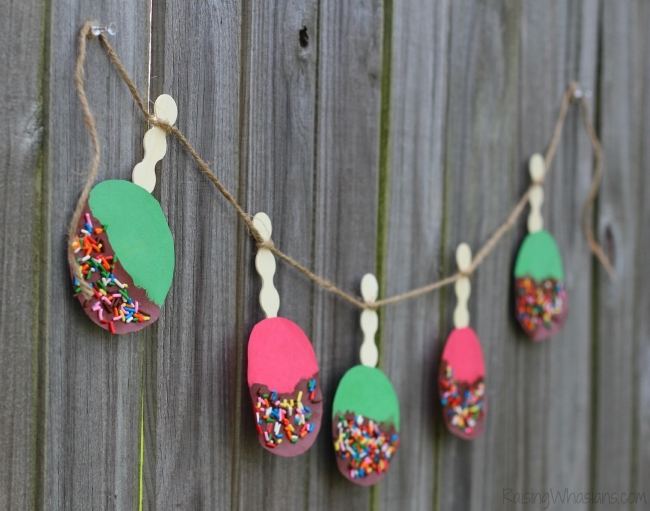 Looking for more crafty ideas for you and the kids this season? Here’s 50 Fall Crafts for Kids! 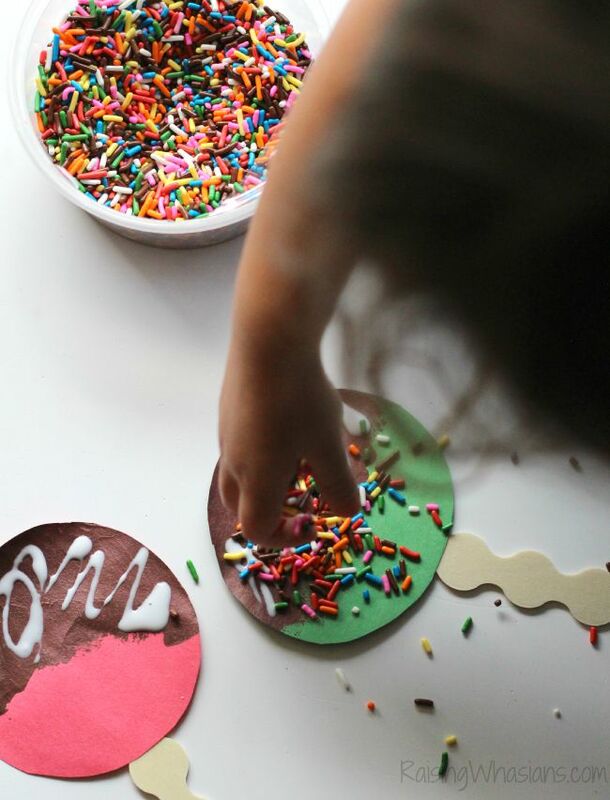 Would your child love crafting with sprinkles too? oh wow so darn cute! 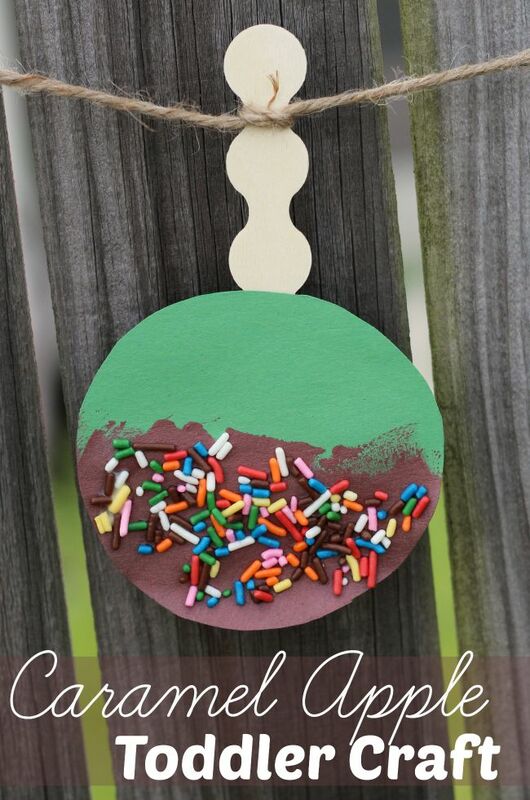 It is so easy and I’m sure fun making it with the sprinkles. I’d like to make it! These are so cute! Can’t wait to have a craft day with my grandkids. 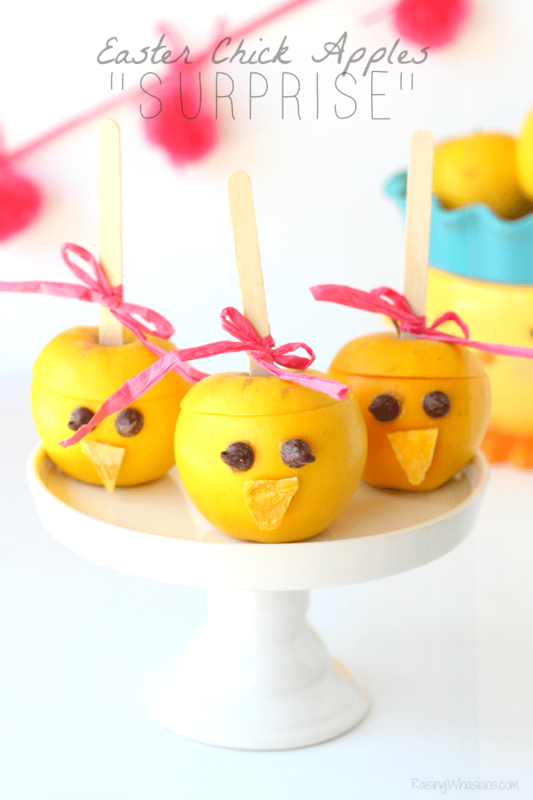 The caramel apple fall craft is cute, but why not use real apples and make caramel apple snacks instead? 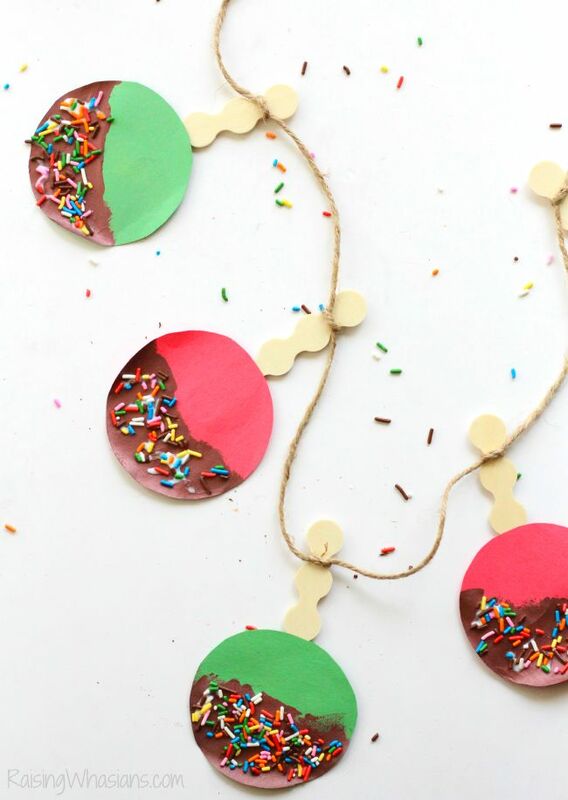 I think all children would love crafting with sprinkles. This would be so fun for my 22 month old, I think we will try it this weekend! Super cute! I changed it up a bit for my older kids and used foam balls and painted them like apples and dipped them. Cute ideas to do with my niece when she sleepsover. These would be fun to do with my grandson. Hope you get to craft with him! 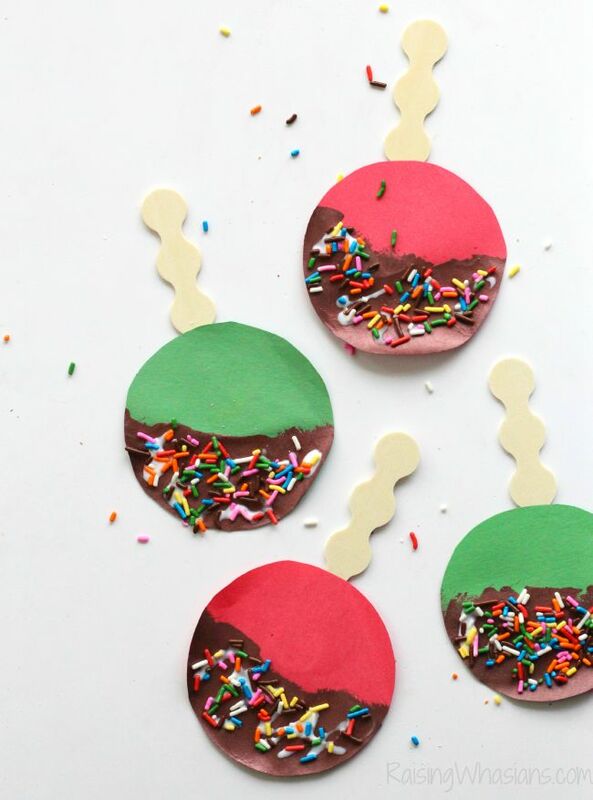 These crafts are too cute! I especially like the tissue paper crafts and I have plenty of it so my grandson and I can create some of these. Thanks for the super fun round-up! All the more fun, right? Those look almost cute enough to eat!